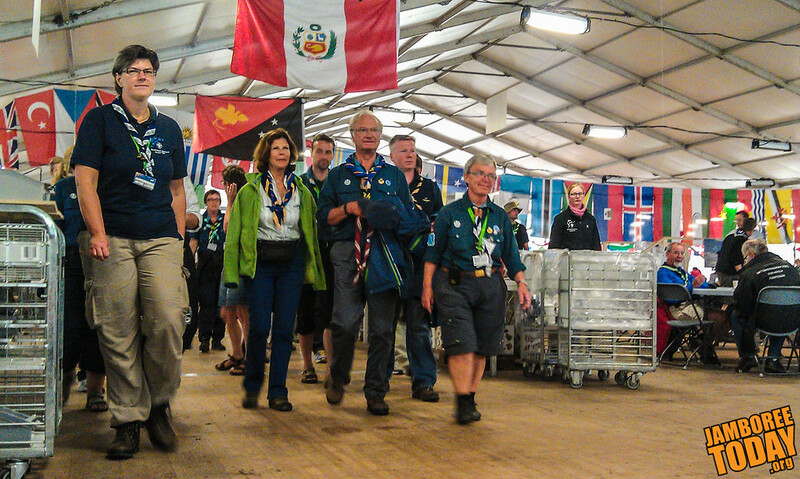 His Majesty Carl XVI Gustaf, King of Sweden, joins his fellow Scouts for lunch at the staff dining hall of the 2011 Scout Jamboree. His nation is hosting the international gathering of 39,000 Scouts from around the globe. The King is accompanied by his wife, Queen Silvia. 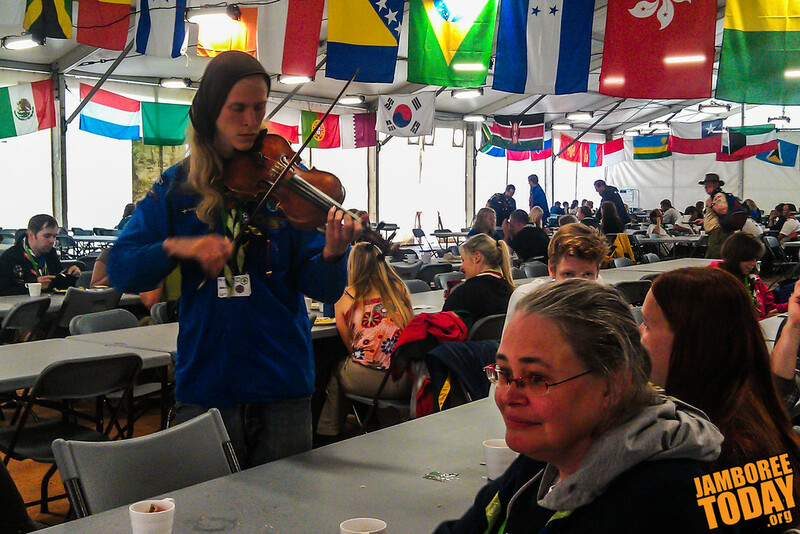 A Swedish Scout unknowingly gives a royal performance in the staff dining hall, as his king and queen dine just two tables away. 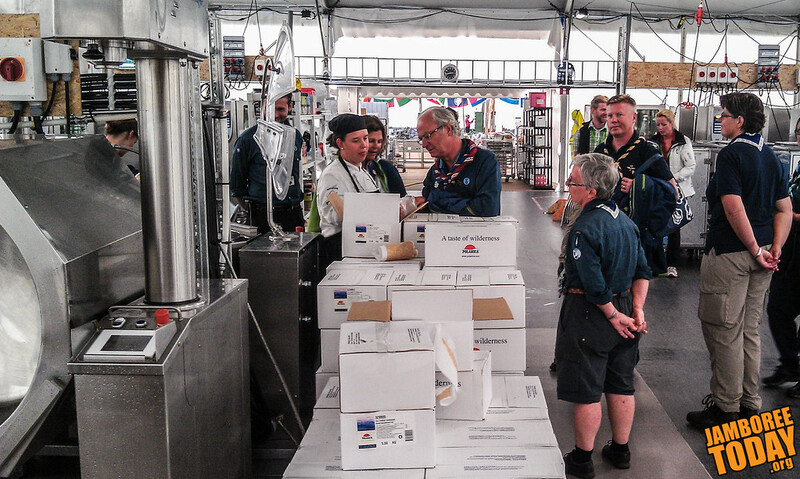 His Majesty Carl XVI Gustaf, King of Sweden, speaks with Swedish Scout Chef Emma Söderlind, as he tours the staff kitchen. The King is himself a Scout.